If you’re looking for an outdoor climbing frame for your garden, then you’ve come to the right place. Bizzie Bodies are proud suppliers of the iconic Jungle Gym climbing frames and playhouses for kids of all ages. 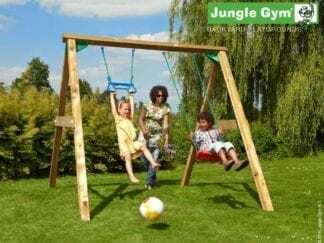 Made from strong and sustainable European pine timber, which is renowned for its long lifespan and attractive finish, you can’t go wrong with Jungle Gym. 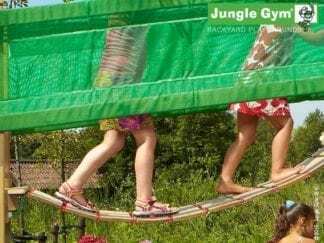 Jungle Gym are experts when it comes to designing and building adventurous, stimulating, and exciting outdoor play equipment for children. From climbing frames equipped with all the bells and whistles to playhouses that are waiting to be imagined in to castles or spaceships, there’s something for every child. 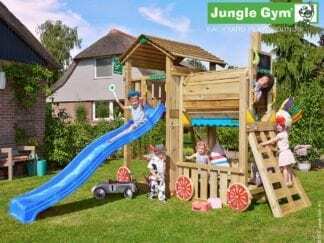 Even better; Jungle Gym playhouses can grow with your child; progressing from a single storey house planted firmly on the ground to a tower frame for a little extra excitement. 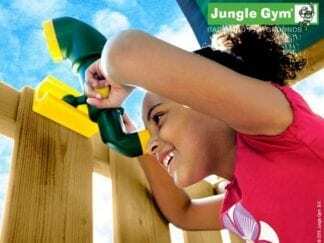 With Jungle Gym, it’s easy to design and customise your climbing frame to suit your family’s wants and needs. 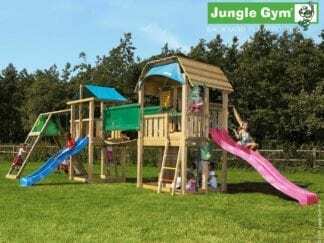 The range of climbing frame add-ons include extra swings, climbing walls, balconies, and more, all made from the same exceptional European hardwood. European pine makes an excellent, sustainable, material for building climbing frames. Jungle Gym frames require no painting, staining, or sanding prior to being climbed on. The beautiful, natural, timber delivers unique colouring, knots and lines for a totally charming and unique finish. 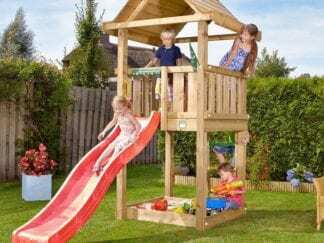 They’re weather-resistant, immune to wood rot, pesky insects, mildew, and fungi just as they are, but if you want to add a stain to make your climbing frame match any other wooden structures in your garden or around your home. 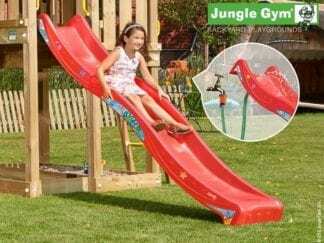 Jungle Gym climbing frames and accessories are perfect for creating a dynamic and healthy playtime environment. Browse the full range below. Not sure what you’re looking for? Give our team a call on 01245 562 001 and our friendly and knowledgeable team will offer assistance and advice.